The dread and utter feeling of helplessness that one gets before going in for a colonoscopy is normal. What’s not normal is being excited for the procedure. Well, that could all change now that the Food and Drug Administration approved a tiny, ingestible camera to help screen patients who have trouble with the traditional four-foot long, flexible tube used in colonoscopies. Last week, the FDA approved Given Imaging’s PillCam COLON for patients who have experienced an incomplete colonoscopy due to anatomy issues, previous surgery, or other colon diseases. Incomplete colonoscopies occur in approximately 750,000 patients each year in the United States, The Associated Press reports. The device uses a battery-powered camera to take high-speed photos while it takes a leisurely ten-hour ride through a patient’s intestinal tract. The small device is equipped with two miniature color video cameras and an LED light source. Given first introduced and received FDA approval for a similar pill in 2001, but company studies found the images were no as clear as those from in-office procedures. 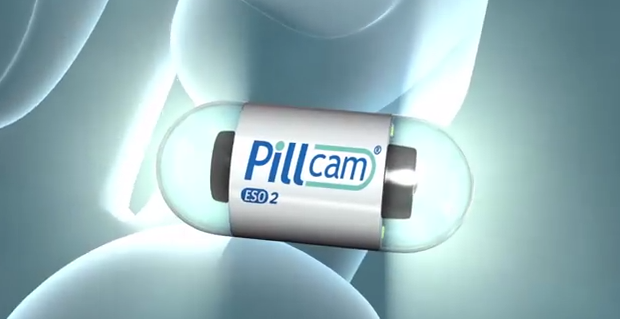 The PillCam, which was previously approved in 80 other countries, costs about $500. The going rate for a traditional colonoscopy is about $4,000. Given Imaging, headquartered in Israel, produces other medical devices including pillcams to screen the small intestine and esophagus.